provides an airspace that intercepts radon before it seeps into the basement, crawlspace, or through the slab. 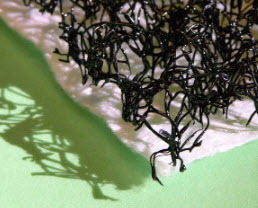 Enkavent 6128 has a nylon core of fused, entangled filaments with a geotextile heat-bonded to one side.This is what makes Enkaven 6128 an excellent choice for venting radon. Enkvent matting is 0.8" thick matrix point bonded with a heat and pressure to a geotextile filter fabric. 95% of the geomatrix is open providing a high airflow rate. This means radon has room to flow to route the gas outdoors. Enkavent is also stiff. It can stand up to concrete withut compressing, but it is lighweight enough for easy handling. To the best of our knowledge, the information contained herein is accurate. However, Bonar Inc./ Global Plastic Sheeting cannot assume any liability whatsoever for the accuracy or completeness thereof. Final determination of the suitability of any information or material for the use contemplated, of its manner of use and whether the suggested use infringes any patents is the sole responsibility of the user. 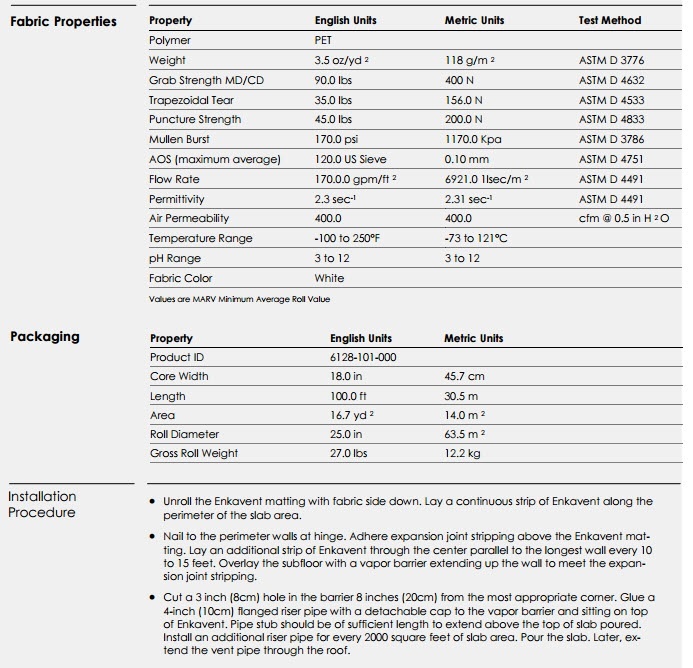 These products may be covered by patents or patents pending. 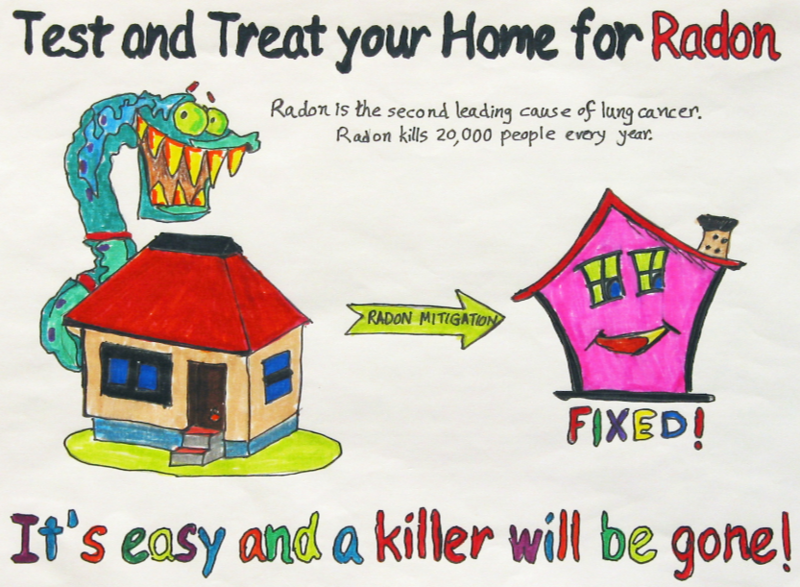 Do you have radon questions?